Fortunately, Microsoft has taken great strides to simplify the Windows 10 migration process. New deployment methodologies that utilize images, task sequences and provisioning packages make the deployment process far more agile today. That does not mean there aren’t challenges in the process, however. The hurdles instead lie in the standardization of the user workspace. It is the details of ensuring that all those configuration settings, applications, printers and security protectants are delivered to ensure a secure productive work environment. The first objective of the survey was to find out where businesses currently are in the migration process. Four stages were identified as Planning, Pilot Only, Mid-Migration and Nearly Complete. On average, about 26 percent of all organizations were still in the planning stage. When comparing the survey results according to company size, the greatest disparity occurred within those organizations who are nearing completion. While 42 percent of SMBs with less than 100 employees identified themselves as being in the final phase of the migration process, only 13 percent of 5,000+ user based enterprises report their implementations to be nearly complete. 33 percent of these large enterprises identified themselves as being in the mid-migration stage, and only 10 percent of SMBs reported the same. The second challenge concerned the task of standardizing the Windows 10 Start Menu and Taskbar. The majority of respondents (57 percent) have a desire to standardize these two desktop areas. 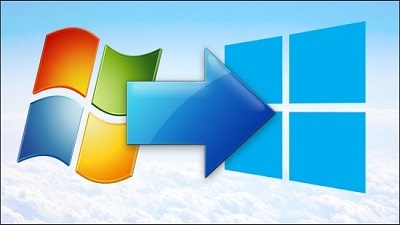 The most popular way to accomplish this was to use Group Policy to push out settings (62 percent). Other tools included scripts, SCCM, and third-party tools. No discussion of desktop OS migration would be complete without the topic of imaging. Standardizing the Image Deployment process was the third challenge identified in the survey, and aptly so as 73 percent of organizations use some type of imaging software or MDT tools. The primary hardship of imaging is the material investment that is involved in the creation of each image. According to the survey, the process of creating an initial golden image required five staff people for enterprises with over 5,000 users, with each of those staff people devoting 62 hours. On average, organizations with less than 1,000 users allocated 2 people and 15 hours each to the process. Of course, it does not take long for golden images to lose their luster, as customized modifications must be repeatedly implemented. The three most cited customization activities were the removal of non-essential applications, security hardening, and BitLocker setup. The production and testing of subsequent images are time-consuming as well, with SMBs allocating up to 17 hours per person and large enterprises allotting 42 hours per person. The most surprising finding of the survey concerned how many organizations continue to assign local admin privileges to low-level users. Local admin rights reduction and elimination was the fourth challenge highlighted in the survey and are one that internal IT continues to struggle with. On average, 57 percent of organizations admitted to assigning local admin rights to some portion of their "normal" user base. This percentage generally increased along with the size of the organization with 69 percent of the largest enterprises in the survey following this practice. The two most cited justifications for allocating local admin rights was the ability for normal users to install software and contend with UAC-based elevation issues. Said one survey respondent, "We give local admin rights because the business decision came down that someone might have to install software at 3 AM when the help desk is closed."